Pool Alarms give you a sense of security. Help protect your family, friends, and neighbors from accidental drownings and submersions in the swimming pool by investing in a pool safety water alarm. 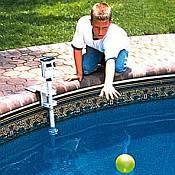 Pool owners, especially those with young children, grandchildren, and pets, should always keep pool safety in mind. 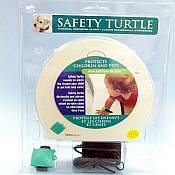 Pool Alarms and other safety swim products can be used as an extra safeguard, but they should never be relied upon as the only line of defense in preventing a child from drowning in your pool. The keys to preventing pool accidents are placing barriers around your pool, closely supervising your child, and being prepared in case of an emergency. 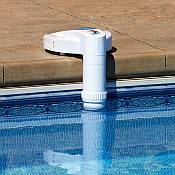 Read an evaluation of Pool Alarms and tips on buying them in this informative article. 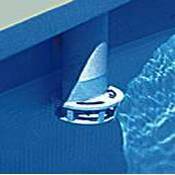 Read more about different swimming pool safety devices and barriers in this informative article.